Hello, a while ago I showcased the spotlight technique, using the gorgeous stamp set, Lovely as a Tree. At the time I also made this card using the same technique but in a slightly different way. 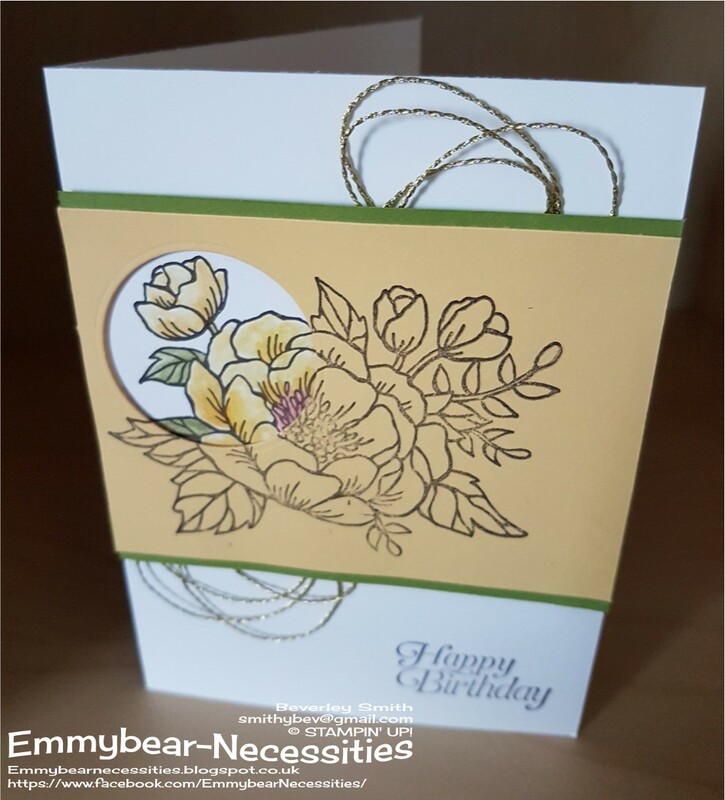 If you've seen many of my blog posts, you'll already be aware just how much I like Birthday Blooms - and how much it features in my cards. 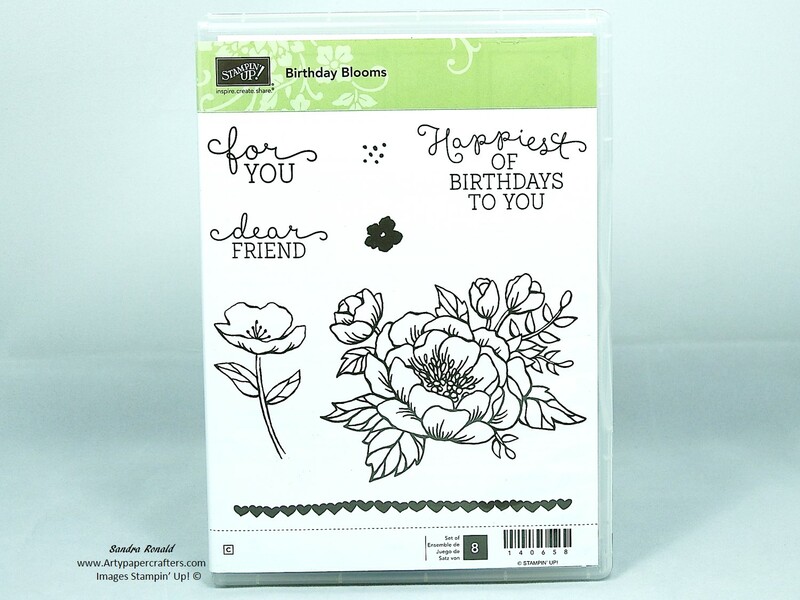 Now normally I love colouring this large stamp in, however this card only needed a hint of colour - in the area spotlighted! 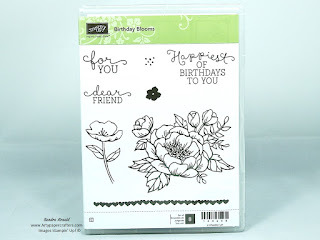 I stamped my image on both Daffodil Delight and Whisper White card. Next I die cut a circle out of the image on the yellow card and put to one side for a moment. Using my watercolour pencils and a blender pen, I coloured in the corresponding area on the white card. The white card was placed behind the yellow, carefully matching the image up, using dimensionals for depth. This was then mounted onto a slightly deeper piece of Old Olive card to create a border top and bottom.